How to keep dogs safe in the summer? In what promises to be a long, harsh and hot Indian summer, the mercury has begun to surge new heights. The homeless bear the wrath of the sun at its worst hence we request all our readers to put out water bowls for the birds, cats, and dogs. The heat issues can get fatal very quickly, this handy list of easy tips by our in-house vet Dr. Cat tell you how to keep dogs safe in summer. Keep a filled water bowl near your dog at all times. While this may be obvious, it is an especially important step. If your dog finishes the bowl quickly, get a bigger bowl or get a few bowls. 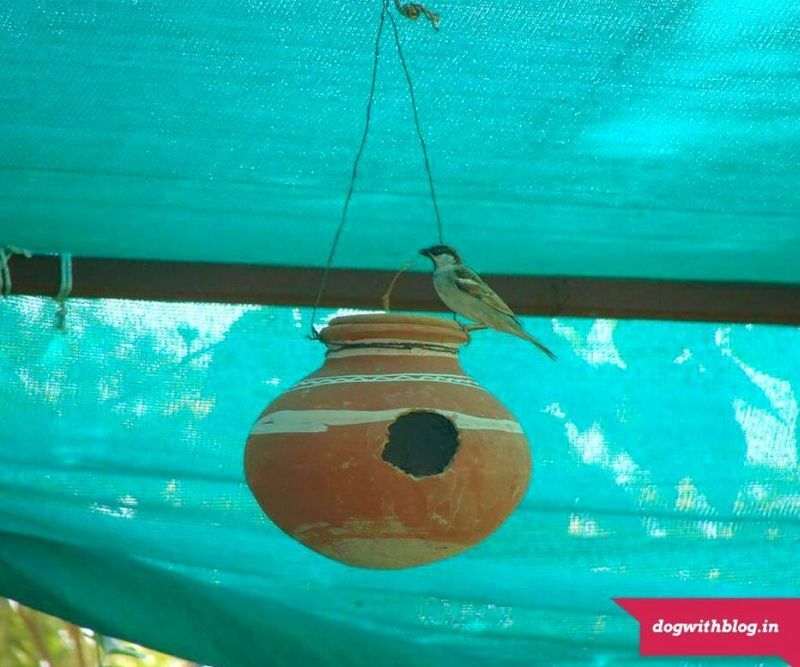 Shrida has installed these beautiful pots with grains and water to help feed birds in summer. You may also put out hanging pots like the one above to help birds. 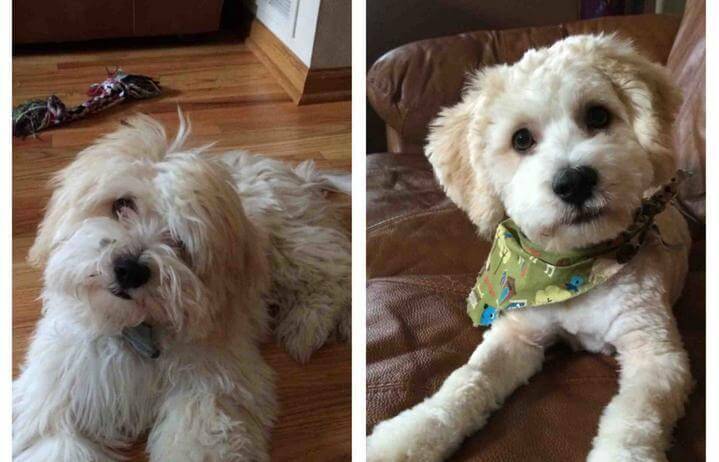 Summer is the perfect season to give your dog a haircut, but you must consult your vet on the need of the fur before getting the clippers out. e.g. Shepherd dogs have a thick fur coat as an adaptation to effectively manage the sun’s UV rays. The temperature inside a locked car can rise to dangerous levels within minutes. 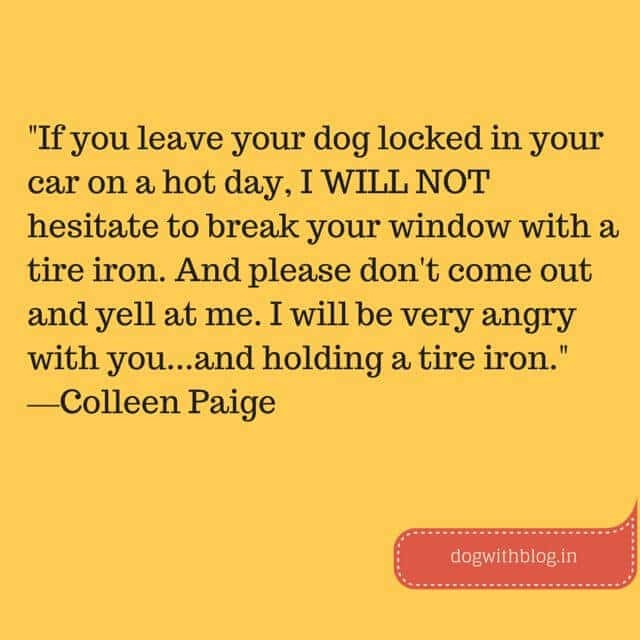 Ensure to leave the windows open for your dog and keep some water with you. Cooling down the dog’s paws help to reduce their body temperature. Use a wet cloth to cool them down by applying the cloth under their paws. 4. Take advantage of the cooler parts of the day to exercise your dog. Just as in the case of humans, prolonged exposure to the sun can elevate the risk of heat stroke and sunburn in dogs. Remember that your dog has a fur coat to manage and will heat up much faster than you would. Furthermore, the concrete and asphalt can get really hot on even mildly hot days so before you walk your dog on concrete or asphalt, try to check the ground – If it’s hot for you, it’s too hot for them! Turn off or unplug appliances you are no longer using. All electronic items generate heat. Remove the carpets from rooms to allow your pets relatively extended ‘cooler’ area to lie on. 6. How to detect Heat Stroke in Dogs? Summertime comes with its own set of hazards, so please ensure that you identify the warning signs of trouble. When in doubt, call your vet right away. 7. Add Yogurt to your dog’s diet – A great digestion aid, it’d also get rid of unhealthy bacteria in your pet’s tummy, replacing it with good bacteria. Keep your dog free from external parasites during the summer. Groom regularly, bathe your pet with the Himalaya Erina range of pet care products – Coat cleanser, Coat Cleanser with Conditioner, Erina-EP Ectoparasiticidal Shampoo and Powder (for action against ticks, fleas, and lice). They come from the trusted brand of Himalaya and contain natural ingredients like Neem, Hibiscus, and Eucalyptus to maintain your pet’s skin health and hygiene. hello! 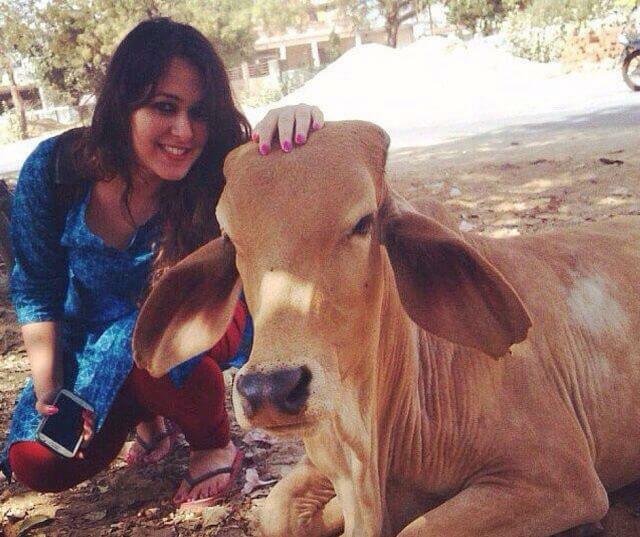 M ketho… i live in delhi. I have a labrador… His name is mylo.he is 5 months old. I have been giving him pedigree , sometimes mixed with rice n soya nuggets…. but he does seem to gain weight…. can u help me with his diet? Previous Previous post: What’s it like Living with Himalayan Mastiff dogs?